If you've been tasked with planning the most unforgettable Stag Do or Hen Do ( no pressure then!) we've got it covered. Our most popular Stag and Hen Do activity in Dorset has always been our Kayaking tour to Old Harry Rocks and even those this is a great adventure in itself these days we have started to see a shift in the traditional Stag and Hen Do, where groups now want to try adding something a little different and take away a new skill to teach the soon to be better half! Our Foraging and Feasting experiences in Dorset are growing in popularity and we are finding that stags and hens and groups of friends who want to get away from it all are relishing in taking a step back to nature and learning wild cooking and Bushcraft skills that have long been forgotten. We love all of our adventures and adventurers but there is something really great about being able to give that special someone a day to remember with all their friends and family joining in to make those magic memories all the more memorable. Our regular adventures involve Kayaking, Foraging, Fishing and Snorkelling and to give groups the full sea to stomach experience we add on other elements such as bushcraft and wild cooking on dry land so that they go away with a real sense of adventure and a deeper connection between their palate and plate. We have found that this type of adventure day also works well with Stag and Hen groups who also have different interests as we tend to cover something for everyone. 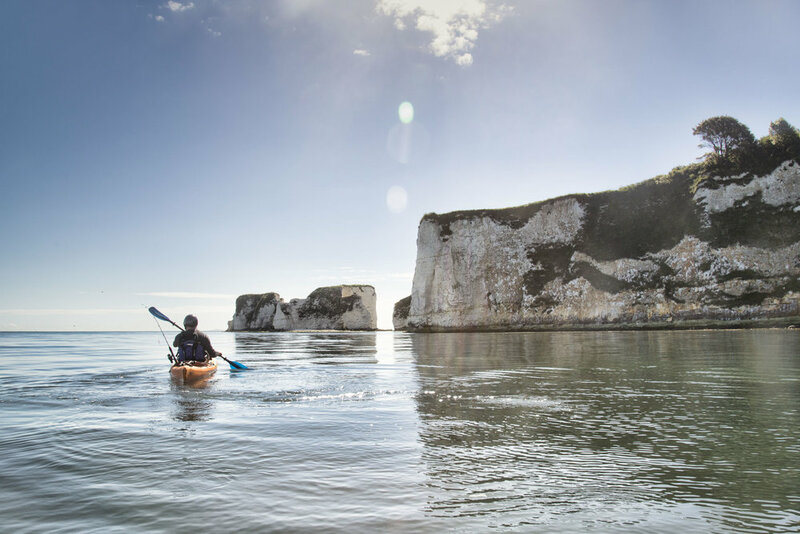 Our Old Harry Rocks Kayaking tours in Dorset start from £50pp for half day adventures and up to £110pp for the 5 hour kayak, fish, forage & feast experience. If you want to add on extra activities or want us to design a bespoke adventure for a whole day or weekend of activities just drop us an email and we can create an itinerary to suit. For those groups who would rather stay on the dry side we offer Foraging and Feasting events where we teach the group all about wild food and explore our beautiful coastline in Studland to seek out wild edibles from seaweeds, sea vegetables and sea food before heading to one of our beautiful seaside hideaways where you will treated to a superbly scrumptious 3 course supper cooked by one of our talented chefs. Here we will give you live food demos and you can even book one of our wild cocktail masterclasses to make sure the evening really sparkles. Half day dry side Foraging and or Bushcraft courses start at £40pp and go up to £70pp for a 3 hour foraging and feasting experience (plus £10pp for a wild cocktail masterclass.) or contact us for a full days itinerary. So if you still need help planning that Stag Weekend or Hen Weekend in Dorset then do get in touch with us here at Fore / Adventure where we will do everything we can to handcraft a tailor made party just for you. Sign up to our newsletter to be the first in the know about our upcoming events and receive seasonal foraging tips & recipes.